There are certain actors whose names you see on the cast list of a film or TV show and you immediately know that it’s a good project. That effect is not about their name or popularity, but their track record of attaching themselves to strong quality projects and their own consistency of chewing every scene they find themselves in. Simply put, they are the masters of the art. They are the ones whose performances truly take you beyond your immediate environment and transport you into their world. There are not many actors or actresses who exist in that plane anymore but thankfully, we still have Jeffrey Warren Daniels, more famously known as Jeff Daniels. 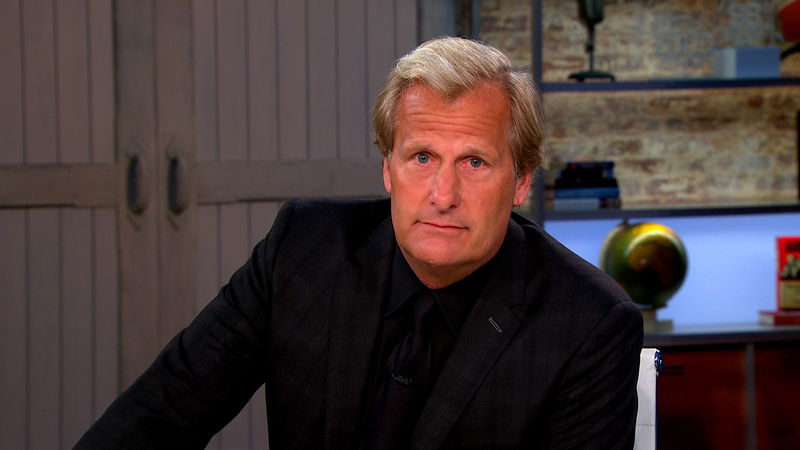 Who is Jeff Daniels? Read below to learn more about the film and TV star. Jeff is a stage, television and film actor who has won multiple awards for his performances over the years and it is all a journey that started at Central Michigan University where he participated in the school’s theatre program. Before that, he attended high school in Chelsea, Michigan, after his father’s occupation as a teacher relocated the family to Michigan. He was originally born in Georgia on the 19th of February 1955. Jeff Daniels pursuit of a life as an actor continued at the Eastern Michigan University after Central Michigan University. At Eastern Michigan, he participated in the Bicentennial Repertory program and acted in plays such as The Hot I Baltimore. During one of the plays, Jeff was courted by Marshall W. Mason, an American director and was lured to New York where he worked at the Circle Repertory Theatre. Jeff Daniels’ exceptional talent was honed from years in the theatre in New York, acting in various plays off and on Broadway. Jeff’s dedication to stage acting made him establish the Purple Rose Theatre Company in 1991. The company is based in Chelsea, Michigan. In film and Television, the actor has played a variety of roles from the comedic to the dramatic, although he’s mostly known for the latter. His screen debut was in 1981 – in the film Ragtime. Shortly after, he earned a nomination for his performance in The Purple Rose of Cairo. It is not often that newcomers on the film stage earn a Golden Globe nomination for their 3rd film but this just proved that Jeff Daniels was like no other. Jeff Daniels showed his comedic chops in the film, Dumb and Dumber in 1994, alongside Jim Carrey. It was Jeff’s first dive into a comedy production and a successful outing for him. He reprised his role in the film’s 2014 sequel, Dumb And Dumber To. Jeff’s film career has seen him work with various notable actors and actresses such as Reese Witherspoon, Keanu Reeves, George Clooney and many more. In television, Jeff has found similar success as he has in films. He has two Emmy awards to his name amidst multiple nominations. His opening monologue scene in The Newsroom is considered one of the greatest performances in modern television. He has most recently starred in a Netflix original series, Godless for which he won his second Emmy. As a theatre man, where music is a core part of the performance, Jeff is also a more than a decent musician. He has performed several live shows and recorded over five albums. He puts the profits from the album sales back into the Purple Rose Theater. Jeff Daniels is a simple man who has managed to stay married to his college sweetheart, Kathleen Rosemary Treado. The couple met in Michigan and have been in love with each other ever since. The two got married in 1979 and have three children – Benjamin, Lucas, and Nellie. The family lives in Chelsea, Michigan. There isn’t a lot of information available regarding Jeff Daniels’ brother, John Daniels. We do, however, know they grew up working in a lumber company that their father owned. Jeff is a physically intimidating man; his physique puts him at a height of 1.91m and he spots a medium-large body that makes him a force in a room. His great use of his body in commanding a scene has also helped in establishing him as a top actor. There is currently no information on the actor’s weight. Jeff Daniels has a known net worth of $45 million. His filmography is laden with a number of commercially successful projects and his award recognition has made his appearances in film or television projects a valuable one. He reportedly gets paid $150k per episode of television.